Scentimental Journey is a small band with a big mission – to bring enjoyable music, mental stimulation and memory recall, and a sense of well-being through aromatherapy to older adults in assisted living communities. Scentimental Journey is a unique concept developed by four long-time friends and musicians (Bill Kurtin, Lyn Belisle, Larry Adamson, Dave Williams) who want to continue their musical association in retirement while sharing their songs with others. 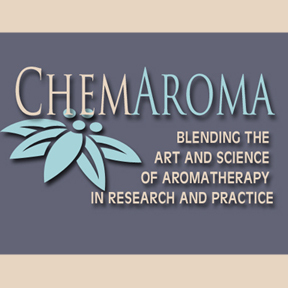 The addition of aromatherapy makes it a unique experience for the senses. During performances, band members also employ research-based aromatherapy practices and discuss how essential oils and their scents can enrich memory association and a sense of wellness. This unique combination of enjoyable music and gentle scents from the plant world brings a welcome sensory experience to older adults who enjoy something old, something new, and something fun. Short performances by Scentimental Journey can be tailored to the needs of the community population and interest. The average length of a presentation is 45 minutes and includes ten to twelve songs and the experience of three essential oils for relaxation and sensory enjoyment. Our research shows that this combination is effective and enjoyable, especially for the elderly in community settings. Scentimental Journey performs for free to interested retirement communities who would like to include this unique group in its activity schedule. For more information, please contact Dr. Bill Kurtin at 210-667-4852 or at ﻿wkurtin@earthlink.net﻿. Friday, May 20th, 2016 - Menger Springs Community - 3:00 p.m.
Tuesday, May 24th, 2016 - Morningside Ministeries - 2:00 p.m.
Friday, June 10th, 2016 - The Village at Incarnate Word - 10:00 a.m.